‘All that is necessary for the triumph of evil is that good men do nothing’, said Edmund Burke. Recently it occurred to me that this famous aphorism might have come to Burke on a visit to an exhibition of particularly dreadful paintings. Perhaps he scrawled ‘bad art happens when good people don’t point out that it’s bad’ on the toilet door of an eighteenth-century ARI and the whole ‘triumph of evil’ thing developed from there. Perhaps. In the current issue of Artlink, Vernon Ah Kee decries the supposed proliferation of mediocre art from Aboriginal remote communities, and addresses the paucity of criticism that enables and sustains it. Erudite and acid-tongued, Ah Kee has made a career out of inflammatory statements. But there isn’t much controversy here. It’s widely agreed that there aren’t enough people making the call on Aboriginal art. Many recognise too, that acclaim is often ‘well-intentioned’, incommensurate with the complexity or quality of the artist’s work. And the critical vacuum is not exclusive to Aboriginal art produced in remote areas. Not listed under ‘favourites’ in Ah Kee’s iPhone are those who argue that urban-based Aboriginal artists are over-represented in major exhibitions, and public collections. Frequently the meaning and significance of work from remote art centres exists in language that is foreign and inaccessible to curators, critics, and audiences. When the work penetrates, it penetrates on Eurocentric terms. 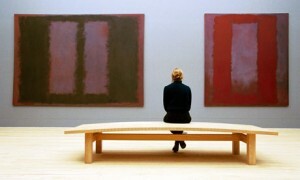 For instance, I’m an obnoxious American collector lamenting that ‘one sometimes confuses one’s Rover with one’s Rothko’. Or, I’m director of the Musée du Quai Branly, writing to Warmun Arts requesting that Lena Nyadbi lend her aesthetically pleasing designs to the tiles of my magnificently positioned roof. I disagree with Ah Kee when he suggests that these kinds of things mitigate the agency of Rover Thomas and Lena Nyadbi, as artists and people. Ah Kee has said ‘the only authentic Aboriginal people in this country are the urban Aboriginal people. They’re the only ones that behave autonomously’. It’s been around forty years since a group of desert men were introduced to the contemporary medium of acrylic painting, in the settlement of Papunya, west of Alice Springs. Thought-provoking, inventive and genuinely compelling art is today produced by urban-based Aboriginal artists, and by artists working at Aboriginal-owned and operated (actually, not just notionally) art centres in remote communities. There’s mounting frustration with the preciousness and culture of entitlement that stymies discourse on all sides. Provocative quips about authenticity are tedious and obstructive, whether they slip from backward minds, or whether espoused by proponents of change.